A world Bible for our time from Buddhist, Hindu, Confucian, Taoist, Jewish, Christian, Islamic, and primal religion sources! 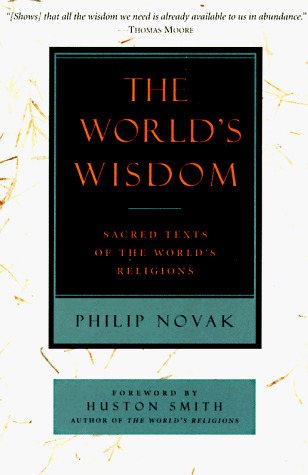 In this perfect companion to Huston Smith's bestselling The World's Wisdom, Philip Novak distills the most powerful and elegant expressions of the wisdom of humankind. Authentic, poetic translations of key texts are coupled with insightful introductions and "grace notes." Places; Shut Up and Sing: How Elites from Hollywood, Politics, and the U.N. are Subverting America; Power to the People; The Obama Diaries; and Of Thee I Zing: America's Cultural Decline from Muffin Tops to Body Shots.Philip Novak is the Santo Distinguished Professor of Philosophy and Religion at Dominican University in San Rafael, California, where he has taught for over twenty years, and the author of The World's Wisdom , a widely used anthology of the sacred texts of the world's religions and the companion reader to Huston Smith's The World's Religions .